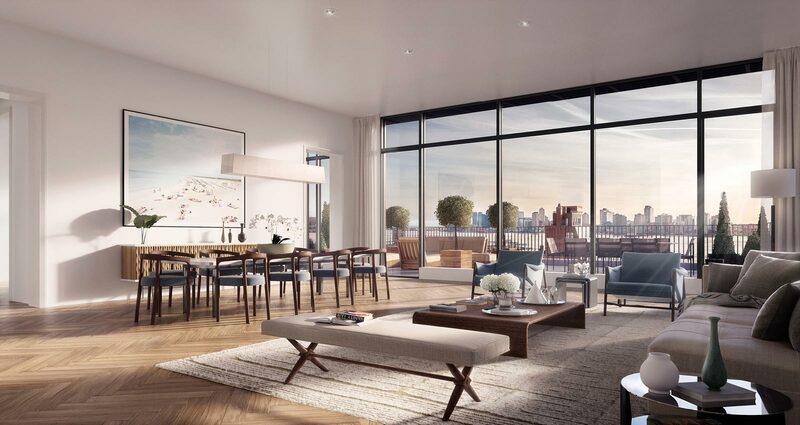 Sales launched at the Shephard, a former rental-turned-condo in the West Village, in September, minus the building’s three duplex penthouses. But now those units have hit the market, and Curbed has the exclusive on pricing: the smallest of the three, Penthouse A, will list for $18.85 million; the second-largest, Penthouse B, is asking $24.5 million; and the largest, Penthouse C, is asking $29.5 million. Even though they’re all duplexes, the apartments have different floorplans (the listings call them “logical but also special”, whatever that means) that maximize their placement in the building; B, for example, takes advantage of the Shephard’s curved shape with a turret. Each one also has an abundance of outdoor space. We’ll update with floorplans as they become available.